An insect ecology specialist at a top London university has questioned the usefulness of the neonicotinoid ban after a new study showed potential replacement sulfoxaflor had an ‘unacceptable impact’ on bumblebee reproductive success. 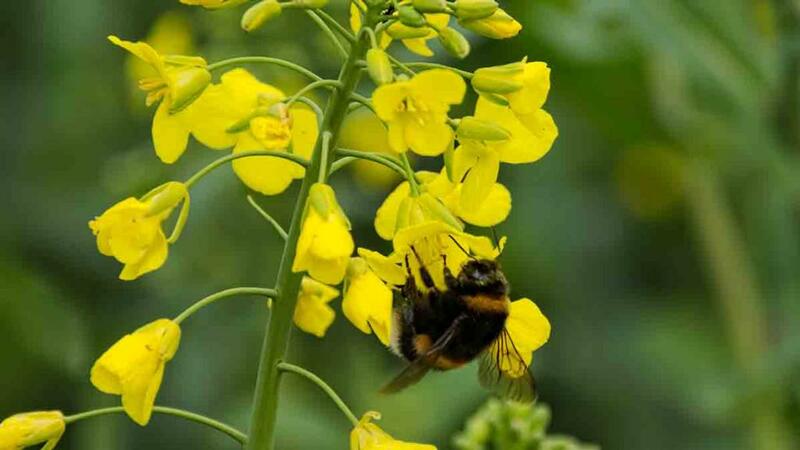 The hunt for a suitable alternative to neonicotinoids has intensified since the EU introduced a ban on their outdoor use, with UK support, in April. Published in the journal Nature, the Royal Holloway University research compared the development of 25 bumblebee colonies exposed to sulfoxaflor with 26 untreated colonies. It showed exposed colonies produced significantly fewer workers and reproductive offspring than the unexposed controls. The researchers who carried out the study said: “Our results caution against the use of sulfoximines as a direct replacement for neonicotinoids. Dr Richard Gill, senior lecturer in insect ecology at Imperial College London, suggested these cycles could be avoided by using neonicotinoids more effectively on the basis of the best research available. He said: “If we have a very limited understanding of how pesticide replacements affect beneficial organisms, then do we have to laboriously repeat previous lab and field experimental setups using the new chemicals or agents? Sulfoxaflor is already authorised for use in 47 countries across the world, including Canada, Australia and China. The EU also issued a 10-year licence for its use in 2015 after a 2011 application from Dow AgroSciences. Though the EU licence has been granted, each member state must make a decision about whether to allow its use based on a risk assessment – a process the UK is undertaking at the moment. The Commission called on each member state to pay particular attention to the risk to bees when granting authorisations, demanding risk mitigation measures be put in place where appropriate. Farmers Guardian has approached Dow AgroSciences for comment.